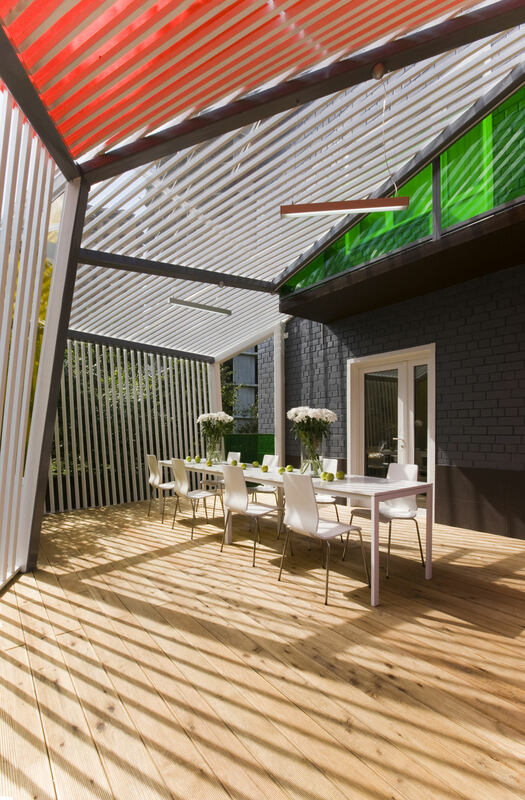 The project has been developed specially for a popular TV show about village life, where the invited designers and architects do re-planning of a part of the house for the house owners who agreed to participate in the show. 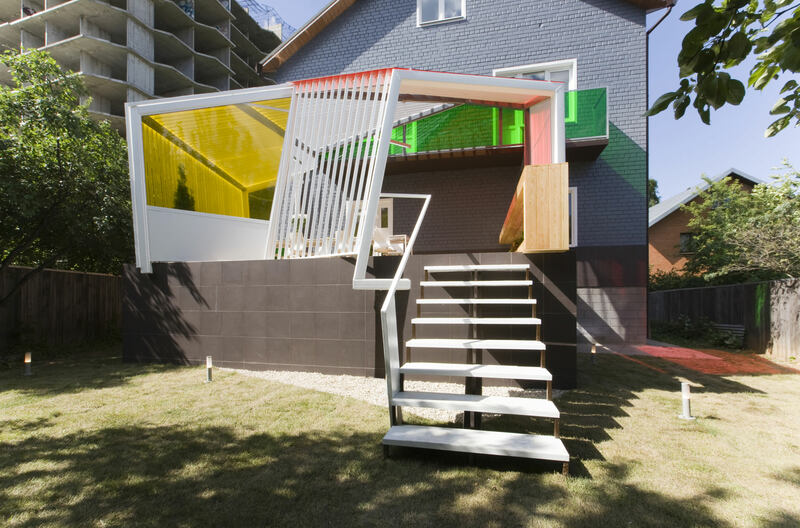 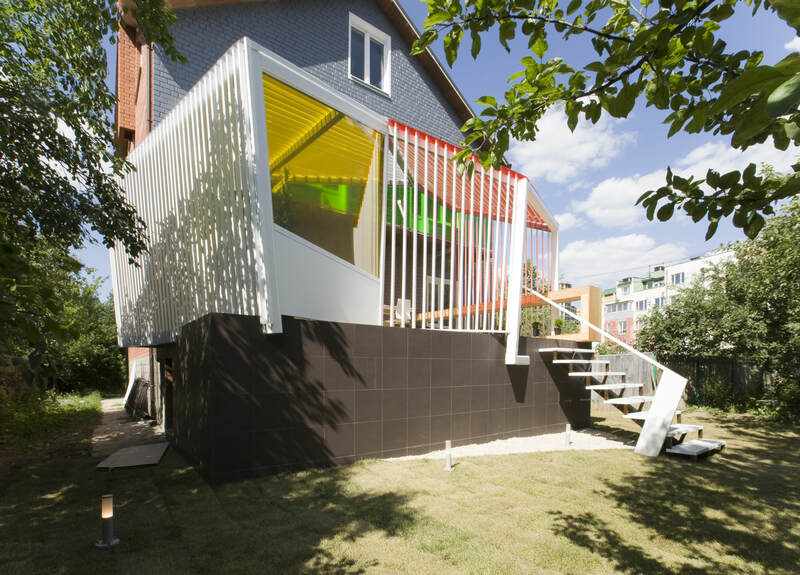 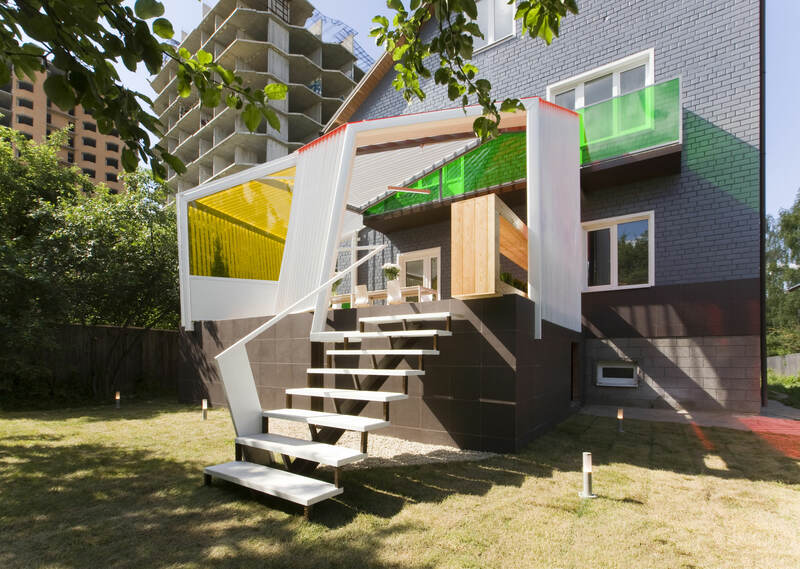 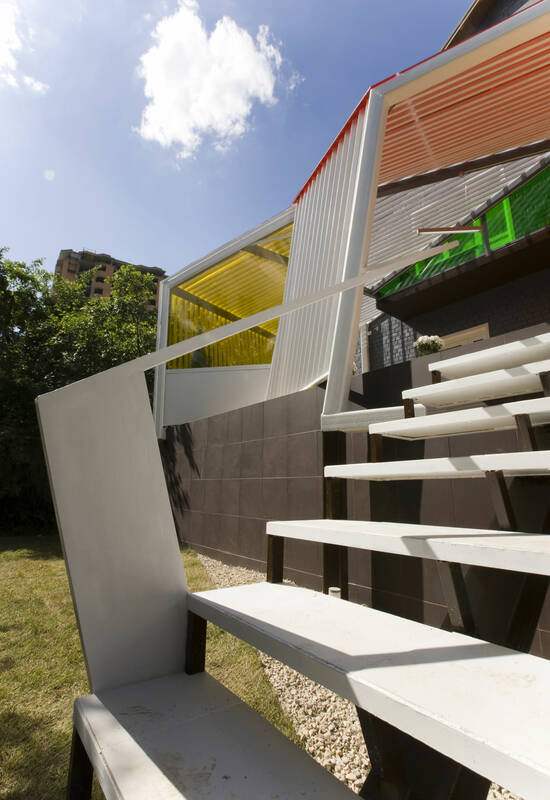 Architects decided to create a spacious and optimistic space from light yet very strong polycarbonate tightened by colored films and placed on the skeleton made of steel and aluminium profile. 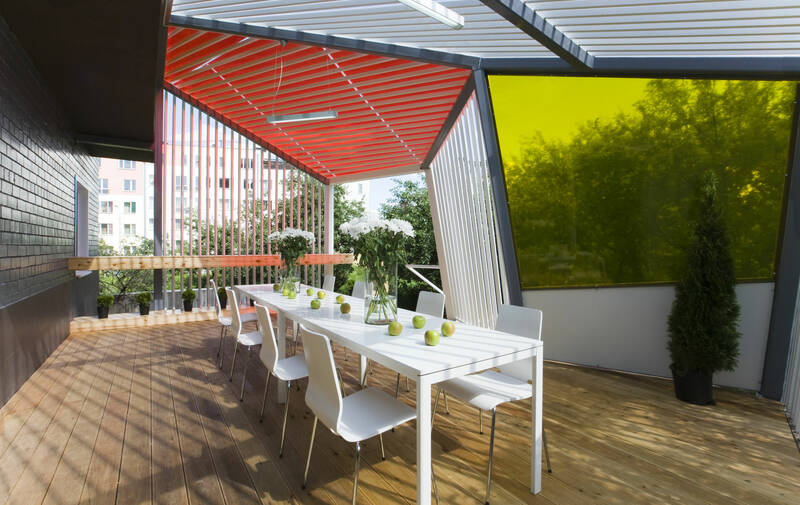 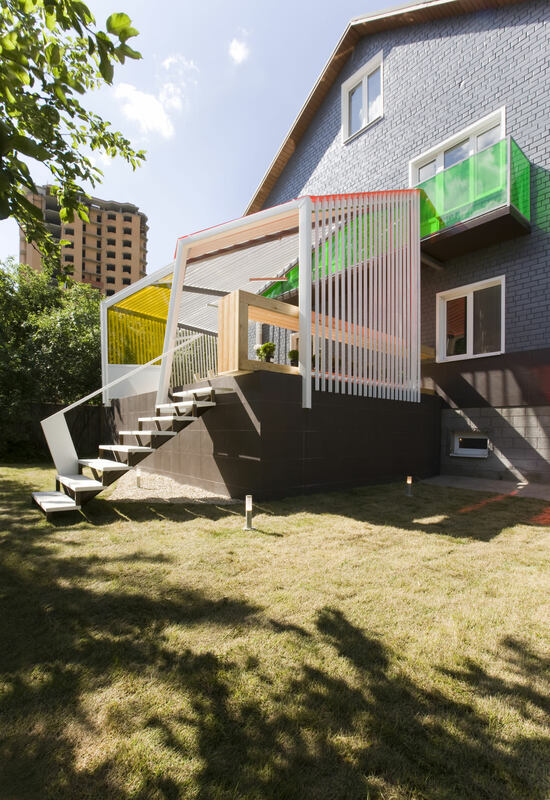 The transparent summer terrace should promote the dialog of people and the surrounding nature, according to the plan, bright colors should be similar to the intense shades of garden leaves. 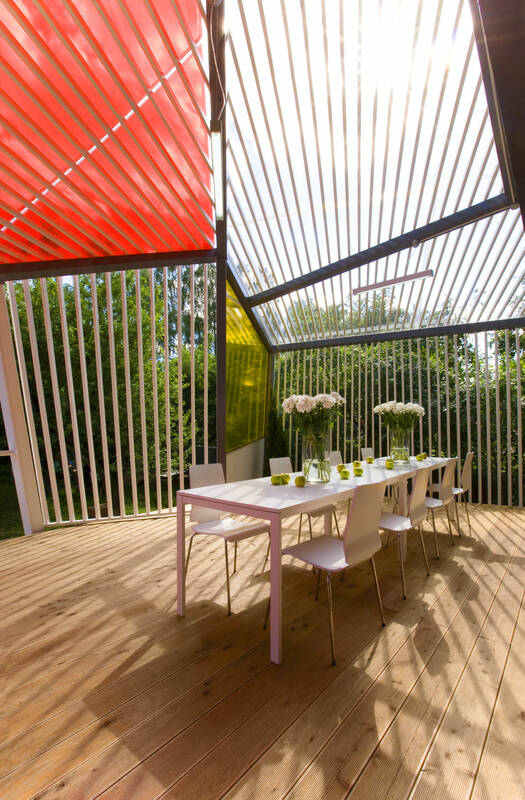 In order to be able to effortlessly organize barbecue and buffet tables on the summer terrace, at its entrance was placed a large bar counter made from cedar (the floor is laid with larch boards). 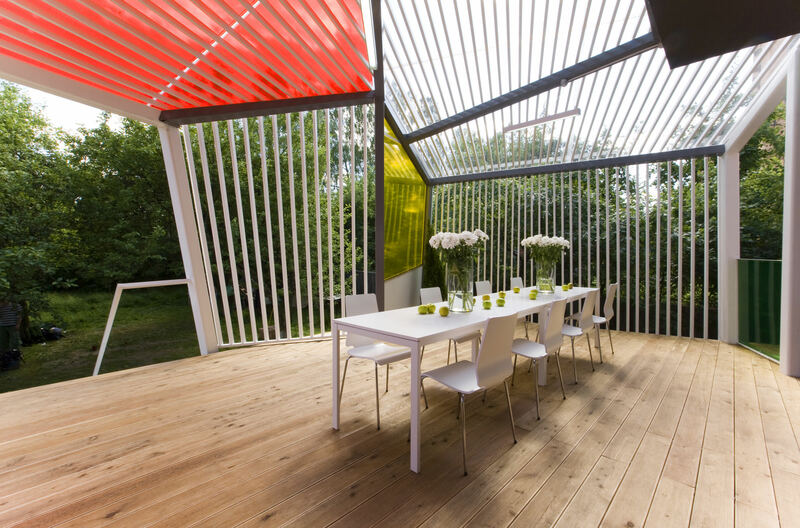 The table and chairs are the only furniture on the place; they can be disassembled and taken inside, in order to free some space, for example, for dancing.